Just getting started online? Have a school website and not sure what should go there? 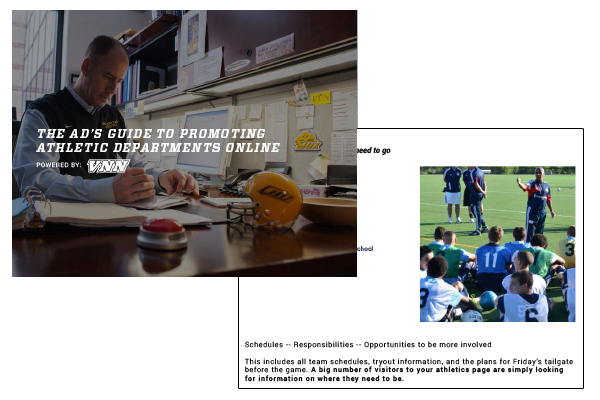 Download our Ultimate Guide to promoting your athletic department online and get easy step by step instructions on where to focus, what to post, and trends we’ve learned from our 1,500 schools.